Ranveer Singh is back to his quirky looks and was snapped at the Mumbai airport on December 27, 2017. The actor was seen in a white t-shirt, denim shirt and denims shorts with a pair of cool sunglasses as he made his way through the airport. 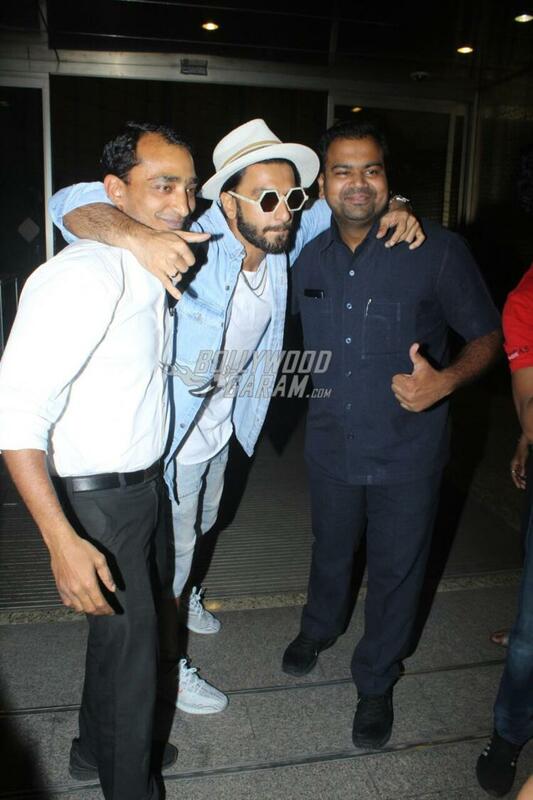 Ranveer not just posed for the shutterbugs but also posed with a few fans at the airport. On the work front, the actor is preparing for the upcoming film Gully Boy which will also star Alia Bhatt. This will be the first time the audience will get to see the pairing of Ranveer and Alia. Ranveer is also a part of Sanjay Leela Bhansali’s Padmavati which also stars Deepika Padukone and Shahid Kapoor. In terms of clearing, the Censor Board is taking its own time considering the controversy surrounding the film. The board recently appointed two historians from Rajasthan, India to review the flick. The film was expected to be released in theatres on December 1, 2017 but has been delayed indefinitely.